So, who are we? We started our paint business in Boston in 1806. From day one, we were sure of one thing. While everyone else fell in line, we would do something different. And we did. We made magnolia a choice, not the norm, by offering more colours than anyone else. Then we made them in more finishes. From varnishes and stains to metal trim paints and lacquers. And we chose people and paint. Not one or the other. This is our declaration of difference. Over 200 years in the making. Why not join us for the next adventure? Four Plastering Services is a residential plastering company and also deal with commercial plastering too. Based in Hampshire, we pride ourselves on quality workmanship & completing contracts on time, to budget and safely. 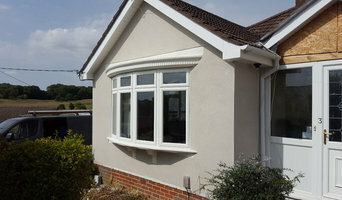 We have worked predominantly in Hampshire, Surrey, and Berkshire for a number of years we have worked on many residential properties where we have re-skimmed old walls and ceilings, replaced old lath and plaster ceilings with new plasterboard and plaster or put up coving and decorative cornice. We also deal with ceiling repairs be it a water leak or a mis-placed foot from the attic. Specialists in mapping, we supply home ware products using maps from our image library. We currently supply wallpaper, canvases, glass splashbacks, tiles framed maps and posters. Many of our products are personalised and can be centred on a UK postcode of your choice. Our map images range from UK street mapping to world maps, personalised Ordnance survey maps to beautiful vintage maps. All your printing needs are covered by iPrint-UK from our Fleet print bureau. Having excellent local customers in Fleet, Aldershot and Farnborough has enabled us to expand and offer a Nationwide print service for descerning customers. Whether its Wide-Format Inkjet Printing, Digital Printing and Litho Printing we have it covered. Our experience and technology ensures that the very best print quality is delivered at a price to suit all budgets. Bournemouth Plastering has evolved from the original family business 'McPartland's Plastering' which established itself in Bournemouth from 1962, and became a father and son business that built a reputation locally making beautifully plastered foundations for exquisite interiors and exteriors. We take pride in our work to create that perfect blank canvas. With a conscientious focus on customer satisfaction across the areas of Dorset and Hampshire, you can rely on us for your next plastering project. We provide a professional, clean, reliable and friendly service. You can even pay for your project securely via debt or credit card. Distribute, market, support digital wallcoverings that can be bespoke printed - self adhesive wallcovering with the design of your chose. HP wants to bring beauty to interiors by offering unlimited personalization possibilities. Our large format printers use HP Latex Inks, which are emission-free and safe to use in a closed environment. HP printers offer tremendous creative potential enabled by broad substrate choice and designs, odorless indoor prints and scratch resistant output. If you are planning on going simple with your walls, perhaps a crisp white or grey, then using Itchen Abbas, Hampshire painters and decorators to finish the job to a high standard is still advisable. Not only will it mean your painted walls will be clean and precise, but it will also save you the time and effort. House painters in Itchen Abbas, Hampshire will be quick and efficient at painting your rooms, and if you have a tricky outside wall or space that needs painting, specialist exterior painters are the professionals for the job. We all know it can sometimes be extremely tricky to get wallpapering right, too; lining up those strips of paper can drive some people round the bend, especially if it’s patterned wallpaper. But there are Itchen Abbas, Hampshire wallpapering professionals that can do the job for you, and even regular painters and decorators will usually be happy to take on the work. 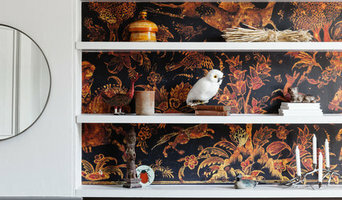 If you want something more unique for your walls, wallpaper designers can create bespoke wallpaper patterns for your home or offer an exclusive selection for you to choose from; whether you want a geometric print, delicate birds and plants, or fabulous florals. Wallpaper designers should also be able to advise you on the best positioning of your wallpaper and how to apply it, so the advice won’t stop after you’ve bought the wallpaper. For those that can’t stretch to bespoke designer wallpaper, there are also plenty of wallpaper stores and suppliers that will stock a really wide range of designs to choose from. Shopping at wallpaper stores won’t break the bank and could still mean your home stands apart from those that have gone to high street names. Wallpaper designers and painters and decorators can do more than just throw a bit of paint or paper at the walls. Once you start looking on Houzz you’ll find there’s a myriad of Itchen Abbas, Hampshire specialists who can help you choose the right paint colour, design unique wallpaper patterns and even prepare your walls before paint or paper application. Paint and wallpaper companies have been established to offer bespoke services when renovating your home – they can consult you on the style you want, asses your rooms and design the perfect wall coverings, either working with paint and wallpaper designers or stores, or doing the work themselves in-house. Then, of course, they will apply your chosen wall covering and give your walls the appropriate finish. Some may handle decorative paint treatments, wall stickers, murals or patterns. You can search for specialist Itchen Abbas, Hampshire painters such as mural, furniture or sign painters on Houzz, too, so if you have a piece of furniture you want to revamp or a space you want to give some special detail to, you’ll be able to find the right person for the job. You can also talk to your local Itchen Abbas, Hampshire painters and decorators to see if they also specialise in any specific painting jobs other than standard wall painting and decorating – you never know, they may be able to paint beautiful murals, spray arty graffiti or be skilled at stencilling. Wall covering and paint contractors may also work closely with other Itchen Abbas, Hampshire professionals such as interior designers, builders and stylists, too. Here are some related professionals and vendors to complement the work of paint & wall covering dealers: Interior Designers, Artists & Artisans, Curtains, Blinds & Shutters, Carpet & Flooring. 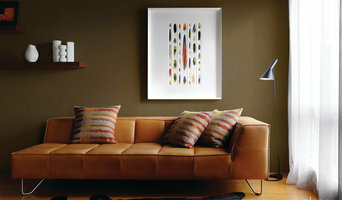 Find painters and decorators or wallpaper designers on Houzz. Narrow your search in the Professionals section of the website to Itchen Abbas, Hampshire paint or wall covering professional. You can also look through Itchen Abbas, Hampshire photos to find examples of wallpaper and paint jobs that you like, then contact the professional who worked on them.